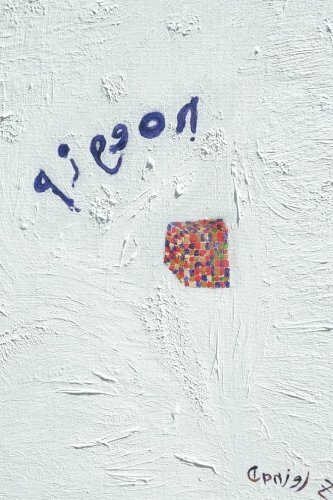 “Pigeon” by Daniel Zadow is the intricate tale of Simon Parsons, and his journey of self discovery, or rather – rediscovery, as he weaves his way through the memories of lives and events buried deep within the essence of his being. Convinced destiny holds a special place for him, Simon steps out of his inertia in search for what is real. Prompted by a visit from the spirit of a pigeon, (who had crashed into the window of his cottage and died), Simon rummages through the depths of his mind, removing the layers of masks that bind him. On his quest, Simon uncovers secrets of great magnitude, tracing his roots back to Erwin Schrodinger, the Nobel Prize winning Austrian physicist who developed the basis of wave mechanics. A relatively short read, at just under 150 pages, “Pigeon” is not a book to be consumed in one sitting. It is evident Zadow is a skillful writer as his prose is intellectual and demanding, with a unique voice that pervades each page. However, though elegant in distinction, much of the uncommon complex vocabulary used throughout the text feels a bit dated and could be off-putting to the casual reader. The turbulent journey through the layers of Simon’s consciousness, the multiple personas engaged, and the travel through parallel worlds and time periods is complicated in that the way the story flows requires an almost meditative setting in order for the reader to focus. I was actually pulled out of the story several times, having to re-read sections to fully grasp the intention. I can certainly appreciate the challenge stimulating deeper thought and reflection, though I often found myself wishing I had taken notes to keep things straight. It is my opinion this book will generate a divided response from its audience. Readers will either love it – or not. Those reading for relaxation and entertainment might find it cumbersome. For those wanting a story that probes into what-if scenarios, digs deeper into the human psyche, and illuminates the possibilities of otherworldly parallel experiences, “Pigeon” by Daniel Zadow is the perfect choice.